We are all well aware that exercise is without a doubt, good for our overall physical, mental and spiritual health. But did you know that it goes beyond that? Do you even notice how well your state of mind and body after you sweat buckets? Well, not only does exercising regularly makes you stronger, keep your body in shape and makes you feel more able to do things despite your age but it makes you extra happier than normal as well. Remember, sitting all day isn’t the best option to shake off the stress and negativity in your body. Grab your running shoes, lift your dumbbells, set up your yoga mat and start doing exercises to raise your body temperature. Have you ever been in love? Assuming that you have, you most certainly felt an indescribable feeling — more than happy much like a sense of euphoria. One of the chemicals responsible for that feeling is dopamine. The same chemical that is active when you exercise. Dopamine is a neurotransmitter in the brain that channels feelings of pleasure and happiness quickly. Since it is said that as we grow older, our storage of dopamine decreases. Which makes it more necessary to pump our blood and hop on the treadmill and release these chemicals for our own pleasure. Sweat your worries away and de-stress by pumping your blood. How do you relieve stress when exercising? When you exercise regularly, you are basically training your body to get a better hold of managing stress. By raising your heart rate, you are setting off a break in hormonal changes which reduces the amount of stress you’re under. Imagine a life with less stress and how enlightening that would feel. Shrug off the common myth that when you workout at night, you won’t be able to have a great sleep. In fact, one of the best ways to have a deep sleep at night is to exercise. If you don’t know yet, your body temperature raises which then drops eventually. So to fight your insomnia and get a better sleep. 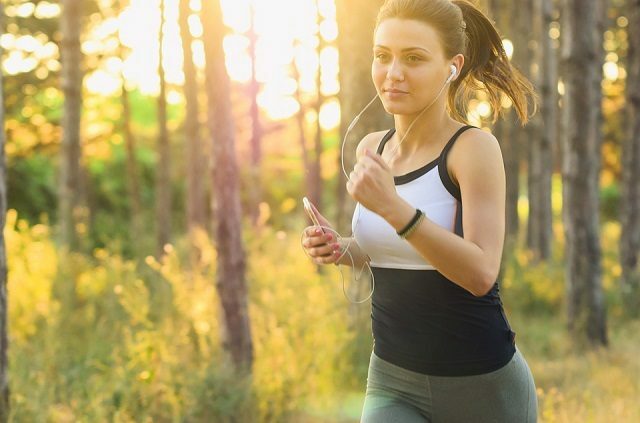 Try switching your morning routine exercise in the afternoon, where your body’s temperature will drop around in the evening, when you’re about to shut your eyes and take a rest. Feeling a bit tired to get your blood pumping and get your body sweating? Pick yourself up and force yourself to workout! What do you do when you feel tired and fatigued? Chances are, you’re more likely to just lay down and remain inactive; it will only make you more tired. To counteract that uneasy feeling, the solution would be to get up and be active. Exercise boosts your energy level and is a great weapon to go against fatigue. How does exercise help you become more confident? Well, by achieving the goals you’ve never thought possible suchlike losing/maintaining weight, running more than 5 kms and other accomplishments, you feel more capable of doing more things hence, makes you live happier and more self-assured. Just when you thought there’s no cure for the dreadful anxiety and depression you feel, move around and break a sweat. By exercising, you’re actually preventing these unwanted feelings since once your body shakes off all the stress and negative energy in your body and mind, it starts to boost your mood and then provides you a long lasting relief. To put it simply, exercise is your little antidepressant solution. So, if you ever feel too stressed out, feel down as if you have hit rock bottom or just feel tired and weak, gather your workout essentials, gear up and move! Don’t go running to shopping malls or buy gallons of ice cream, sometimes your best option is to break a sweat, release those negative energy in your body and pump up your happy chemicals.